Keats was born in London in 1795. His father was killed in a riding accident when Keats was eight; his mother died six years later, probably from tuberculosis. The loss of his parents, especially of his mother, was to help shape his personality, his writing and the intensity with which he lived life: 'It runs in my head that we shall all die young', he later said. He boarded at Clarke's, a small school with a progressive outlook; Keats seems to have found a home there. The headmaster's son, who was to become an important mentor and friend, encouraged him in his early, precocious, wide-ranging reading. At fifteen, Keats left school to prepare for a career in medicine, first as apprentice to a doctor and then as a medical student at Guy's Hospital. 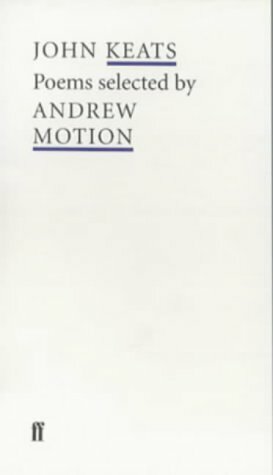 For several years he combined the study of medicine with writing poetry but eventually gave up medicine to concentrate on writing. 'When I have fears that I may cease to be' was written early in 1818, just before the extraordinary year in Keats' life when he wrote all the other poems recorded here, and much else besides. This sonnet balances the fear of failure with confidence in his potential - and already established achievement - as a writer. It is one of several poems in which Keats describes the intensity of his reading and the nourishment he derives from it. Towards the end of the same year, 1818, Keats nursed his beloved younger brother Tom through the final stages of illness and death from tuberculosis. 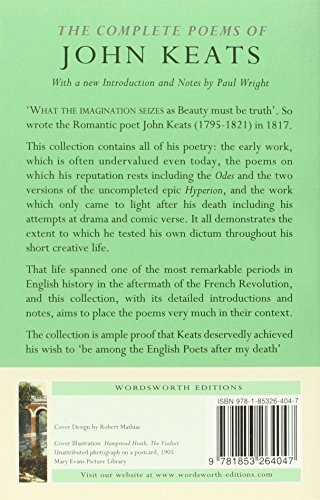 Despite his consequent grief and depression, made worse by anxiety over money, Keats continued to write. He had met Fanny Brawne and fallen in love with a passion reflected in his many heartbreaking letters to her, and probably in the sonnet 'Bright Star'. In the spring of 1819 he began his series of Odes. 'To a Nightingale' draws on the experiences of Keats' life - work in hospital, death of Tom, depression, love for Fanncy Brawne - but it also transcends them to describe universal truth. The main source of 'Ode to Melancholy' is literary, especially Burton's 'Anatomy of Melancholy'. It explores with feverish energy Keats' apprehension that the joys of life are made joyous by the certainty that they must pass: 'she dwells in beauty - beauty that must die'.